We were motivated to select this set of IDaids by a recent quarantine expansion for citrus canker in Texas. Citrus canker is one of many plant diseases caused by Xanthomonas species. Xanthomonas pathovars (pathogenic varieties within a species) tend to be highly host-specific, and citrus is only one of the economically important plants that they can infect. 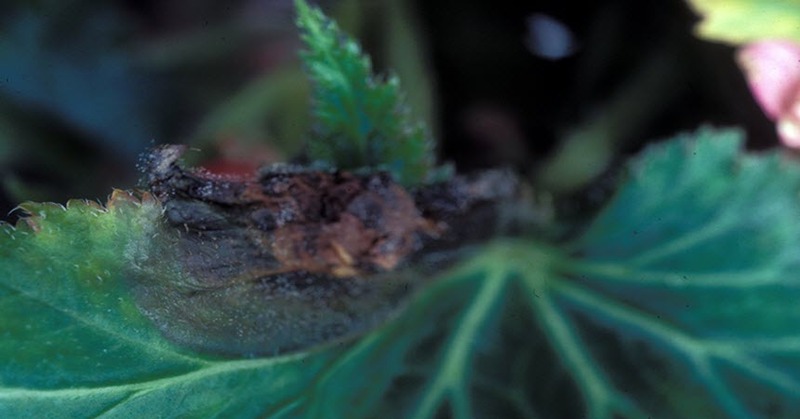 We chose IDaids that illustrate the range of crop and horticulture plants Xanthomonas affects. Be on the lookout for IDaids focusing on citrus canker in the near future. Covers Xanthomonas axonopodis pv. dieffenbachiae introduction, symptoms, detection, and monitoring. 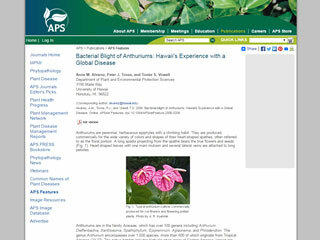 Includes images of symptoms on Anthurium plants. 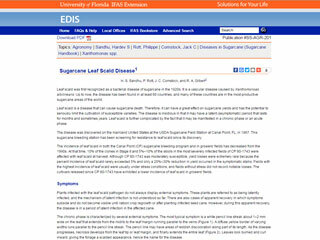 This fact sheet on Xanthomonoas albilineans describes symptoms and includes images of the symptoms on sugarcane, and covers bacterium ecology and disease spread, prevention and control. Discusses X. oryzae pv. oryzae and X. oryzae pv. oryzicola, causal agents of bacterial blight and bacterial leaf streak in rice, respectively. Covers classification, distribution, symptoms, morphology, physiology, dissemination, modes of infection, and molecular data. Includes images of rice symptoms as well as of the pathogens themselves. 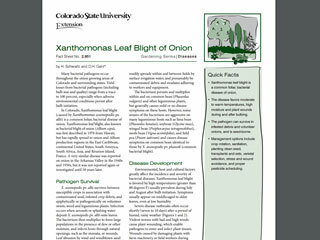 Fact sheet describes and illustrates Xanthomonas axonopodis pv. allii disease development, symptoms, and management in onion.